“Last year at IFA, we launched the GALAXY Note, which opened a new category of smart mobile devices. This year, again at IFA, I am proud to announce the GALAXY Note II, which will encourage users to 'unleash their inner creativity.' With a perfect viewing experience and unique and differentiated features, users can discover information and capture their ideas faster, express thoughts freely and manage tasks more efficiently. 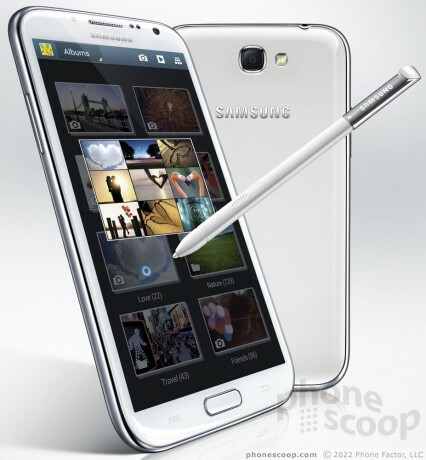 For anyone who wants to be creative, expressive and unique, the Samsung GALAXY Note II will be the ideal device, allowing users to live a life extraordinary,” said JK Shin, President of IT & Mobile Communications Division at Samsung Electronics. Since the first introduction of the GALAXY Note category, Samsung has continued to enhance and expand the GALAXY Note product experiences. In May 2012, Samsung introduced 'Premium Suite,' a software upgrade which provided enhanced user experiences. With the Ice Cream Sandwich OS upgrade, Samsung offered innovative new features such as Shape Match and Formula Match, providing a new way for organizing and expressing ideas in their personal and professional life. Also in August, Samsung expanded the category further with the GALAXY Note 10.1, which has a 10.1-inch large screen, a Multiscreen feature for the ultimate multitasking, and enhanced features for users' productivity, creativity and learning abilities. With further enhancements, Samsung GALAXY Note II will help users unleash their inner creativity by letting them discover information faster, capture ideas, and express them in a more organized and efficient manner. 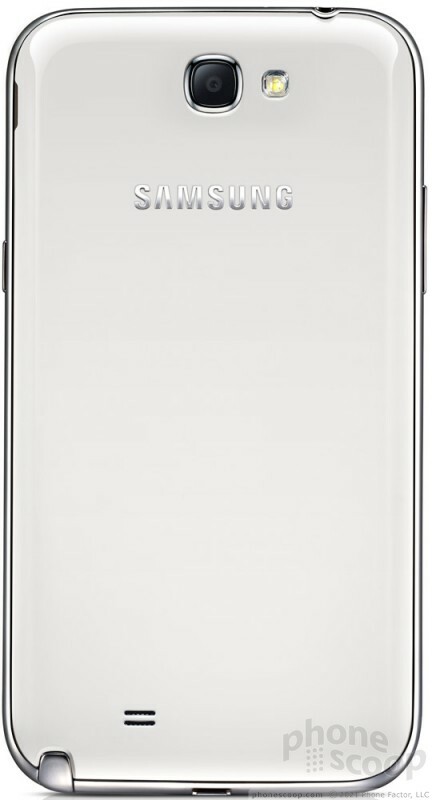 The GALAXY Note II features a 5.5” (140.9mm) HD Super AMOLED screen, providing breathtaking visuals and crystal clear detail. Its 16:9 screen ratio ensures an immersive and enriched cinema-like video viewing experience, perfect for watching HD videos on-the-go. Its larger screen allows users to see content clearly and vividly, with much enhanced readability. In addition to the stunning content consumption experiences on a larger screen, users will also be able to accomplish more tasks efficiently and create content freely on-the-go, as the GALAXY Note II comes with a thinner and portable body. 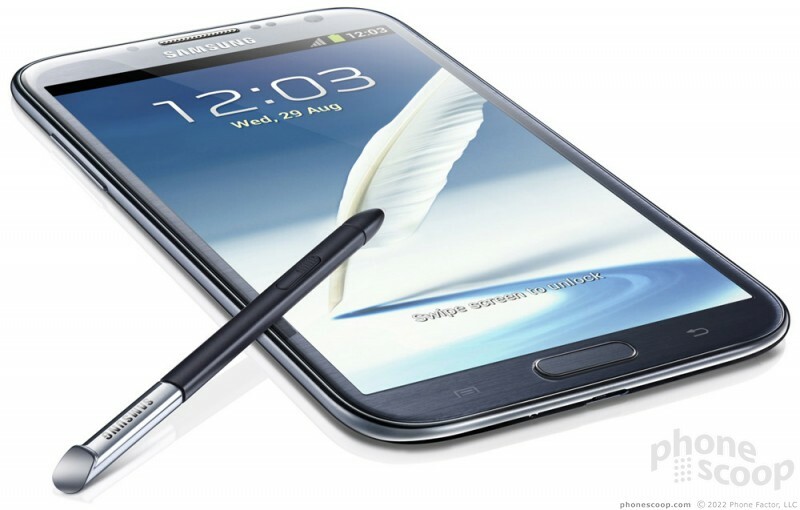 Thanks to the breadth of the GALAXY Note II's amazing viewing experience, a feature called Popup Note extends the concept of Popup Play, which lets users open an S Note instantly as a pop-up window anywhere on the screen. 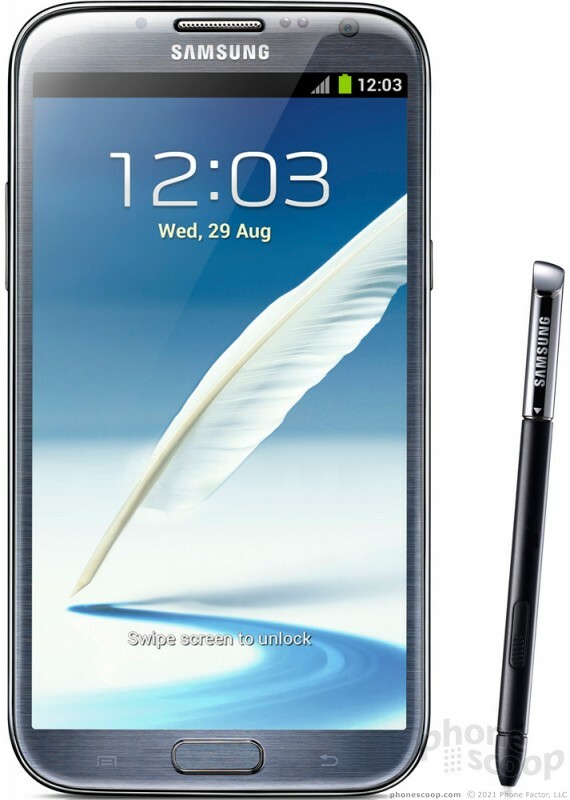 For example, when a user pulls out the S Pen during a phone call, the S Note application automatically pops up on the screen, allowing users to jot down a quick note. In addition, the device's new gesture pad feature, called Quick Command, lets users quickly activate frequently used apps with the S Pen. 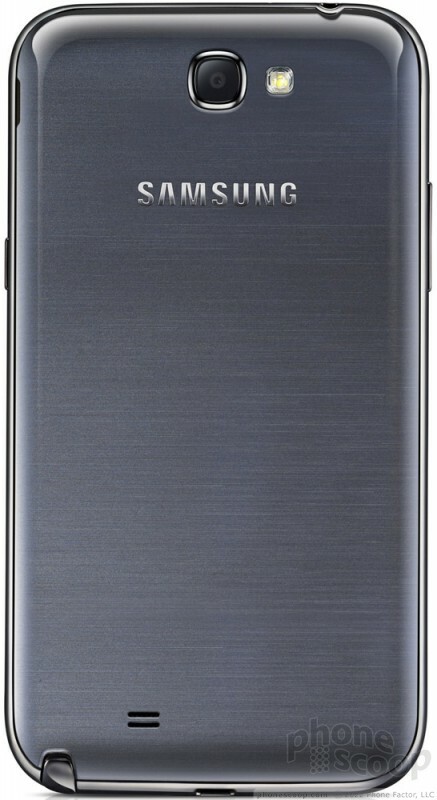 The command pad appears when a user just swipes upward on the screen with the S Pen button pressed. Users can quickly send an email, make a call, or search a location as they draw pre-registered marks on the command pad or register a unique mark to allow for quick and easy access. The S Pen's advanced features also provide enhanced capabilities to capture ideas and inspirations instantly, and to combine handwriting with any digital content directly on the screen. By simply pressing the dedicated S Pen button, the S Pen magically recognizes that users want to clip or edit the selected content on the screen. The Easy Clip feature allows users to instantly outline and crop any content on the screen in any shape to save, share or paste. Once done cropping the image, users can freely edit the cropped content through coloring, shading, or their own personal handwriting. It is quick and easy. Another amazing expression feature called Idea Visualizer allows users to easily add illustrations by handwriting keywords on the S Note. It provides illustration images that match the handwritten keywords. It's a fancy illustration match function that will allow users to express, organize and visualize ideas in a more innovative and creative way. Users can even customize and add in their own illustrations library. 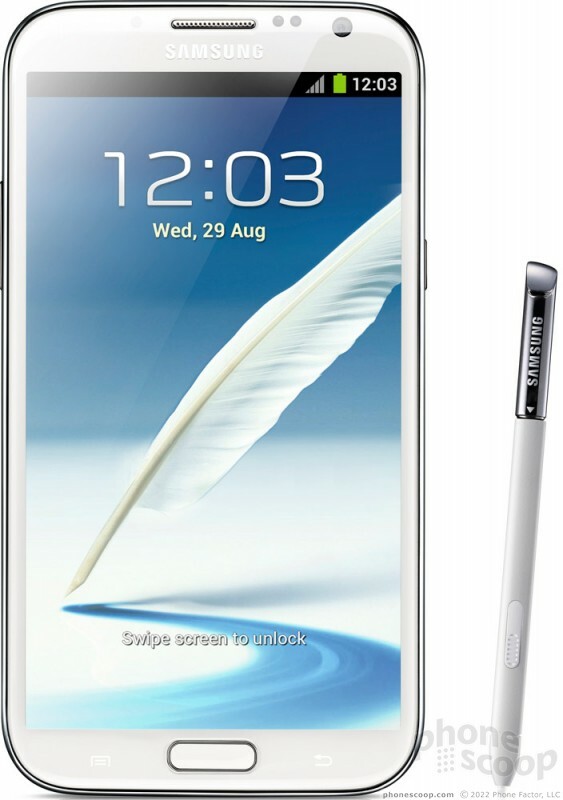 Powering content creation, sharing and multitasking capabilities, the GALAXY Note II comes with the latest hardware technologies. A mighty 1.6GHz Quad-Core processor and HSPA Plus or 4G LTE connectivity delivers easy multitasking, lightning-fast screen transitions, powerful browser performance, and minimal app load time. The GALAXY Note II is powered by Androidâ„¢ 4.1, Jelly Bean. This brings stunning graphical capabilities and an upgraded Google Now service, including new features such as contextual search, to the GALAXY Note II. The memory options are 16 GB, 32 GB, and 64 GB with an expandable micro SD memory slot. Thanks to a 3,100mAh battery, users can enjoy multimedia content, always be productive on the go, and capture ideas whenever, wherever without suffering from power limitation. Full details, video content and product images are available at Samsung's IFA 2012 microsite: http://www.samsungifa2012.com or mobile site: m.samsungifa2012.com as well. A bigger screen... but a lower resolution? A higher res screen probably would have pushed the price point above what they wanted. Does it really matter? This is going to be such an awesome device. I must have one. Who was the company that doesn't innovate again? "a version for U.S. carriers will debut before the end of the year." Will they release it with a dual core like they did the SIII or put in the quad core? Also will they release it with the 64GB model or release later just as the SIII as well along with the black model? My brother-in-law bought a stylus for his Iphone because he is a hunter and wears gloves during the fall and winter. He says the stylus is amazing tool when he is out hunting because he can text and call without taking his gloves off. The stylus works for all capacitve screens. Sprint receives almost every other major Samsung device - I wonder if they'll finally jump on this one too?